Necrozma, The Prism Pokémon. Reminiscent of the Ultra Beasts, this life-form, apparently asleep underground, is thought to have come from another world in ancient times. Light is apparently the source of its energy. It has an extraordinarily vicious disposition and is constantly firing off laser beams. It looks somehow pained as it rages around in search of light, which serves as its energy. It’s apparently from another world. If it isn’t devouring light, impurities build up in it and on it, and Necrozma darkens and stops moving. Necrozma's movepool received a huge upgrade with the introduction of USUM, gaining new coverage moves such as Heat Wave, Signal Beam, Earth Power, etc, making both physical and special sets completely viable while gaining excellent utility with its access to Stealth Rock. Photon Geyser is a very powerful and unique STAB allowing Necrozma to use it either as a physical or special move without drawbacks. Prism Armor complements Necrozma's great 97/101/89 bulk allowing it to survive powerful super-effective attacks from the likes of Gengar and Honchkrow. However, while Necrozma's bulk is great, it is immediately threatened by status such as poison which cripples its durability, or burn which completely nullifies physical sets. While Necrozma can usually take hits, Dark types like Hydreigon, Krookodile, Honchkrow and Alolan Muk can easily switch into it and threaten it with their STAB moves. Also, strong nukes such as Z-boosted moves will be able to take it down. Necrozma has great offensive stats of 107/127 being backed up by a very respectable movepool. 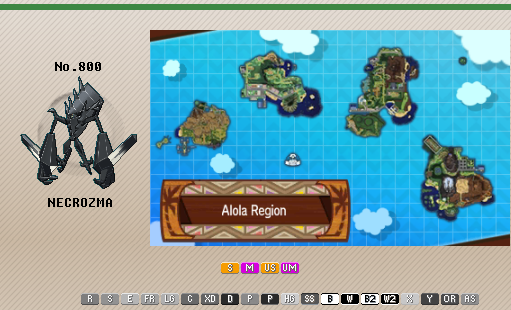 Its great 97 / 101 / 89 bulk is further bolstered by Prism Armor which reduces the power of super-effective hits by a 25%. Necrozma also gains access to Moonlight which increases its durability on the match. Access to moves such as Stealth Rock grants a great utility value to Necrozma due to the switches it can force out on its offensive sets. As a pure Psychic type, Necrozma doesn't gains any notable resistances which makes it difficult to set up for its offensive sets. While its base 79 Speed is decent, it still causes Necrozma to be outsped by threats such as Weavile, Yanmega or Hoopa-Unbound. Necrozma's offensive sets are unable to get past most of the Pokemon that walls them. SD Necrozma is walled by dedicated physical tanks such as Mega Steelix, Hippowdon and Landorus-T, while Special Necrozma is unable to get through Umbreon and Chansey. Necrozma's great offensive movepool allows it to hit most of its switch-ins quite hard with the appropriate coverage move. Stealth Rock allows Necrozma to reliably set up hazards to support its team. Thanks to its great bulk, combined with Prism Armor, Necrozma finds many opportunities to lay down its hazards. Photon Geyser is a strong STAB that hits quite hard. Heat Wave allows Necrozma to beat Steel types such as Mega Steelix, Ferrothorn or Mega Scizor which resists its Psychic STAB move while providing excellent neutral coverage. On the last slot, Signal Beam is the preferred move as it prevents Necrozma from being walled by opposing Psychic types such as Reuniclus or Cresselia while preventing them from recovering momentum thanks to Metronome's boost. If Alolan-Muk is a serious concern, Necrozma can use Earthquake on the last slot to 2HKO it, even with the -Atk nature, preventing it from walling this set. Maximum Special Attack and Speed are needed in order to allow Necrozma to exploit its offensive potential to the fullest. Modest is the recommended nature as it allows Necrozma to heavily pressure Pokemon like Latias and Reuniclus and deter them from switching into it freely. However, with a Timid nature, Necrozma becomes able to outspeed neutral base 90s and anything below. Metronome is the recommended item as it allows Necrozma to break through Pokemon like Reuniclus, Latias and Quagsire with repeated use of its attacks. Odd Incense or Twisted Spoon powers up Photon Geyser to staggering levels at the cost of weakening its other coverage moves. Necrozma has all the tools it needs from the physical side of the spectrum to effectively sweep with this set. Swords Dance doubles Necrozma's decent Attack stats to great levels making it a more threatening wallbreaker. On this set, Photon Geyser becomes a physical strong STAB (due to Necrozma's higher Attack stat) with no drawbacks that will ravage anything that is not immune or resistant to it. Earthquake hits Pokemon such as Mega Steelix, Aegislash and Bisharp quite hard. When paired with a Groundium Z, it becomes a strong nuke that allows it to get past Mega Steelix. X-Scissor is the best option on the last slot as it allows Necrozma to hit both Psychic and Dark types super-effectively without compromising. With a Buginium Z, Necrozma is able to OHKO Cresselia and Umbreon with a +2 Savage Spin Out. Brick Break is an option to hurt Tyranitar and Bisharp badly, but leaves Necrozma helplessly walled by bulky Psychic types. Maximum Attack and Speed are needed in order to allow Necrozma to optimize its offensive potential. Jolly nature is preferred asit allows Necrozma to outspeed neutral base 90s and anything below. The choice between Groundium Z and Buginium Z comes down to which threats you would prefer Necrozma to beat on its own. Thanks to Prism Armor and its great bulk, Necrozma finds itself as one of the best Stored Power users in the whole game. Iron Defense allows Necrozma to increase its Defense to absurd levels making it more difficult to take down from the physical side. Calm Mind increases Necrozma's special bulk while increasing its Special Attack to higher levels. Thanks to Iron Defense and Calm Mind's dual stat increase, Stored Power gains an additional +40 BP every time one of its set-up moves are used, making it a very threatening STAB with few turns of set up. To give you an idea, after one Calm Mind and Iron Defense, Stored Power already attains a solid 100 BP. On the last slot, Moonlight grants Necrozma additional recovery making it very hard to take down after setting up. 248 HP provides near maximum HP while granting Necrozma an additional turn of Toxic damage due to the odd HP number. 128 Def EVs hits a jump point in Defense while 108 EVs in SpD prevents Latios's Devastating Drake + Draco Meteor from ever achieving a 2HKO on Necrozma at full health with Leftovers. Finally, 24 Speed EVs allows Necrozma to outpace max Speed Mega Mawile and uninvested base 80s. Leftovers is the preferred item as it increases Necrozma's longevity throughout the match. On the other hand, Weakness Policy provides an immediate +80 BP boost to Stored Power alongside its +2 SpA increase, making Necrozma completely threatening in offense at the cost of sacrificing the passive recovery Necrozma gains with Leftovers. Rock Polish allows Necrozma to outspeed an insane amount of offensive threats after a boost such as Tapu Koko, Mega Lopunny and even Scarfed Pokemon like Latios and Gengar. Photon Geyser is the preferred STAB on this set thanks to its consistent power without relying on the boosts provided by Weakness Policy. It also deals huge amounts of damage to Toxapex who would otherwise phaze aways its boosts. It's worth mentioning that once the Weakness Policy has been triggered and Necrozma gains a Speed boost with Rock Polish, Stored Power becomes a 140 BP STAB, however, due to its complete reliance on Weakness Policy it becomes a very weak move if Necrozma doesn't gets its item activated. Heat Wave allows Necrozma to hit super-effectively Mega Scizor and Ferrothorn, two Pokemon that could otherwise end its sweep. Finally, while it might be weird to use Earthquake on a -Atk natured Pokemon, thanks to the Attack boosts, Necrozma gains enough power to OHKO max HP Heatran and Alolan Muk. Brick Break is an option that allows Necrozma to get past Tyranitar who would otherwise stop its sweep while still being able to 2HKO Heatran. Max Speed and a Timid nature is required to allow Necrozma outspeed relevant threats such as Scarf Latios. Special Attack is maximized to bolster its sweeping potential. A Modest nature is also usable, however, it fails to outspeed +Spe Heatran and Lucario which are two targets Necrozma doesn't wants to be behind when unboosted. Necrozma can use a Choice Specs set with Photon Geyser, Earth Power, Heat Wave and Signal Beam to hit quite hard off the bat without compromising its offensive presence. However, this set becomes very easy to wear down and Necrozma's low Speed tier makes it an inferior Specs user compared to other Psychic types like Latios or Tapu Lele. Choiced sets are also easier for Pursuit users like Weavile or Muk to trap. An offensive Calm Mind set can be used to threaten the opposing team, but it is less effective than Swords Dance, as it falls to Umbreon and Cresselia more easily. A recovery Berry such as Wiki or Iapapa can be used on Stealth Rock sets to further increase Necrozma's longevity one time. Thanks to Prism Armor, it finds an effective way to use them. However, this makes Necrozma weaker without the power boosts items like Odd Incense, Metronome or even a Weakness Policy can provide. Alternatively, Necrozma can use a Trick Room set to surprise most of its switch ins. Thanks to its great bulk combined with Prism Armor, it becomes able to reliably set up Trick Room. However, it lacks the utility other users of the move such as Cresselia have with Lunar Dance, or the raw power to take advantage of it, compared to Magearna. Regular Necrozma is an unlikely sight in Doubles due to appearing more or less like your generic mediocre Psychic-type, though it has a number of unique tools that give it some flexibility. With its Prism Armor and generally strong coverage, it makes for a deceptively powerful Trick Room setter on teams in need of a bulky Psychic-type. Moves such as Earth Power and Heat Wave give it some useful coverage options to complement Photon Geyser, while Morning Sun can offer longevity if you can make room for it. Unfortunately while Necrozma has enough tools to differentiate it from the often superior Cresselia, it still struggles as a Pokemon that is just strong enough and not overly powerful. Necrozma is limited further by not being legal in VGC formats outside of the current GS Cup format, where it's woefully outclassed by many stronger restricted options including its other formes, namely Dusk Mane. Unless you're playing in a 6v6 Doubles format, chances are you won't be using regular Necrozma. Necrozma's best bet is as a Trick Room setter due to its fantastic defensive ability in Prism Armor and solid offensive presence. Photon Geyser is a fantastic STAB move that will heavily dent anything that doesn't resist it, even if less Special Attack investment is taken. Earth Power provides coverage against Steel-types such as Aegislash, Heatran, and Stakataka which would otherwise not fear anything from Necrozma. Heat Wave can be used instead of Ferrothorn and Celesteela are more important targets, though this is weaker overall due to being a non-STAB spread move. If you really don't mind giving up coverage and need Stealth Rock somewhere then Necrozma can do that as well, though this is only useful in 6v6 Doubles. Trick Room is the primary reason to use Necrozma, as it boasts strong offensive presence outside of this role and has an easier time setting it due to Prism Armor. Stealth Rock can replace Trick Room though this often eliminates the primary reason to consider Necrozma. Protect is a very useful positioning move here and always worth the slot. Maximum HP and Special Attack investment provide the greatest combination of bulk and power, while Modest or Quiet nature is taken to push this power a little further. Modest allows Necrozma to maintain some level of Speed outside of Trick Room which is useful in mirrors, though a Quiet nature with a 0 Speed IV makes it as fast as possible under Trick Room. Special Attack investment can be reduced if more bulk is preferred, though that will ultimately come down to the player's needs. A pinch berry is the preferred item because pinch berries are broken, but Necrozma is an especially good user of them due to its natural bulk and Prism Armor. - While this is not a legal option in most Doubles formats, Necrozma can pull of a deadly Stored Power set with Baton Pass support from Eevee. This may sound impractical but Necrozma with these boosts becomes a nightmare to take down when combined with Leftovers and Moonlight. - Ally Switch is cheesy as always, though Necrozma often doesn't have the move slot to make room for this. - Knock Off has some interesting support utility due to the prevalence of berries, though making room for this on a Pokemon with solid offensive prowess can be difficult. - As a Trick Room setter, offensive powerhouses such as Mega Mawile, Mega Camerupt, Tapu Bulu, and Stakataka make for great teammates. Diancie and the aforementioned Stakataka can also provide additional Trick Room setting options, which is crucial for a 6v6 Trick Room team. Dedicated walls such as Cresselia, Umbreon and Gliscor do a great job on handling most Necrozma sets. Poison is possibly the worst status ailment for Necrozma as it completely cripples its great durability and bulk making it easier to whittle down. Reuniclus does a great job against Necrozma being able to use it as set up fodder, although it must be wary of Metronome boosted Signal Beams. Tyranitar stops almost any Necrozma set in cold blood and takes it down with Crunch. In addition, Sand Stream cripples Moonlight which is Necrozma's only form of recovery. Tyranitar must be careful of the rare Brick Break though. Alolan Muk will easily dent any Necrozma set thanks to its chance of poisoning Necrozma by using a super-effective contact based Dark STABs like Knock Off or Crunch while being able to trap it. However, Muk can be 2HKO'd with Earthquake, so it must be wary of switching into it. Additionally, strong Z-moves from the likes of Latios, Magearna and Hydreigon will easily nuke offensively oriented Necrozma sets without being at risk of possibly activating a Weakness Policy. 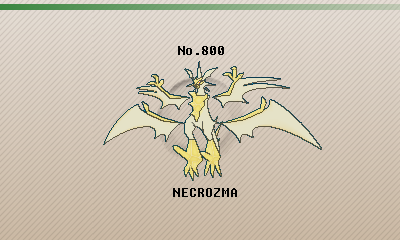 Finally, strong Dark, Bug and Ghost type users such as Gengar, Blacephalon, Volcarona, Weavile, Bisharp and Honchkrow will easily dispose of Necrozma with their STAB moves. 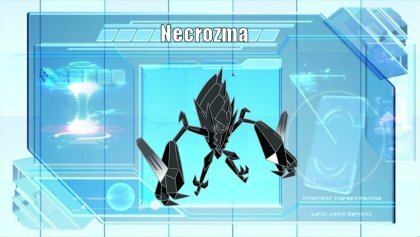 Necrozma, The Prism Pokémon. Lunala no longer has a will of its own. Now under the control of Necrozma, it continuously expels all of its energy. This is its form while it’s devouring the light of Lunala. It grasps foes in its giant claws and rips them apart with brute force. 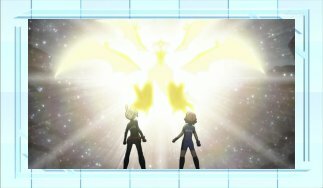 At first sight, while sporting a much higher Special Attack and better defenses, it might initially suggest that DW Necrozma (Dawn Wings) might be perhaps an upgrade over Lunala. However, because of DW Necrozma's lower speed tier it becomes very difficult to justify its use its use over Lunala. There's also very few reasons to use it as a pre-Ultra Necrozma base form as Ghost/Psychic does not add any significant typing upgrades which is completely different from Dusk Mane Necrozma, as alternating from its Steel/Psychic to Dragon/Psychic removes its pre-base Steel weaknesses on the process. Also, the removal of Shadow Shield, which is an upgraded Multiscale that ignores the effects of Mold Breaker abilities and moves weakening any attack by a 50% from full HP, hurts severely as Prism Armor is a significant downgrade compared to it. There is no valuable niche or justification to use Dawn Wings Necrozma over Lunala or even as a base Ultra Necrozma form. If you want to build a serious team with Legendaries, always consider DM Necrozma as the superior Necrozma form. DW Necrozma has a really high base 157 Special Attack which is pretty awesome for a Ghost type. Due to its Ghost typing it can block Rapid Spin from the likes of Cloyster, Pheromosa and Excadrill. Where do we even start? Base 77 Speed is awful for an offensive Pokemon. Even if you are using Rock Polish, Sucker Punch laughs at it due to DW Necrozma's x4 vulnerability to the move. DW Necrozma has a respectable 97 / 109 / 127 bulk but unfortunately, it is let down by a horrible defensive typing which makes it x4 weak to Dark & Ghost moves while having a worse defensive ability in Prism Armor compared to Shadow Shield. It is a completely inferior Pokemon to Lunala who's fast enough to outspeed numerous legendary threats, and it can shrug off Dark and Ghost type attacks to some extent thanks to Shadow Shield. Even as a pre-Ultra Necrozma form it is completely outclassed by Dusk Mane Necrozma who offers a much better defensive synergy due to its type change. This set is the only niche DW Necrozma can pull out without being outclassed by Lunala or DM Necrozma. Thanks to its lower Speed, it becomes a viable user of Trick Room. Photon Geyser and Moongeist Beam are its main STABs to hurt significantly anything that does not resist them. Stone Edge is just there to significantly hurt Yveltal, a Pokemon that eats DW Necrozma alive thanks to its Aura boosted Dark STABs. It's not worth mentioning any other move as Yveltal is the most viable Dark type among all Legendary Pokemon and DW Necrozma doesn't learns any other move that can hurt it significantly. Maximum HP and Special Attack allow DW Necrozma to hit hard as possible while being able to tank hits as long as they aren't Ghost and Dark attacks. Lunalium Z provides DW Necrozma with a strong Ghost STAB nuke allowing it to destroy Psychic types such as Lugia, Mewtwo and Deoxys-Defense. A Quiet nature is required to make the most out of Trick Room. Using any other set is not really recommended as Lunaala will always do a better job than whatever DW Necrozma can pull. DW Necrozma can use items such as Weakness Policy, Choice Specs or Kasib Berry but it's generally not worth mentioning anything else since DW Necrozma is heavily outclassed on any other role by Lunala, who can do it better. If you firmly believe that Ghost coverage is required on Ultra Necrozma with Moongeist Beam, DW Necrozma can be used as a pre-base form. However, Ghost coverage doesn't hits many types super-effectively and doesn't take advantage from Neuroforce's boosts. As in Singles, Dawn Wings Necrozma struggles to justify usage in Doubles due to being almost wholly outclassed by Lunala. Any offensive set such as Choice Specs tends to be better done by Lunala, and Dawn Wings Necrozma does very little to differentiate itself from its superior counterpart, Dusk Mane Necrozma. However, it does have one small niche over the alternatives that also fully obsoletes regular Necrozma in the GS Cup format, namely being a strong Special oriented Trick Room setter. While it does suffer from a very poor defensive typing in Psychic/Ghost, its offensive coverage is still excellent and comparable to Lunala. This may not be enough to turn Dawn Wings Necrozma into a major threat, but if this is the niche you're looking for then this is the Pokemon for you. Otherwise you're probably going to want to stick with Lunala or Dusk Mane Necrozma. Similar to regular Necrozma, Dawn Wings Necrozma can only really justify usage as a Trick Room setter. However, Dawn Wings Necrozma is significantly more powerful and even has access to STAB Moongeist Beam, which opens up Lunalium Z as an option as well. Moongeist Beam is a staple STAB move here due to the fantastic Ghost-type coverage, which ultimately helps it deal with Lunala and Dusk Mane Necrozma well under Trick Room. Photon Geyser provides a powerful secondary STAB which can be boosted further with Psychic Terrain, though Earth Power allows Dawn Wings Necrozma to actually threaten Incineroar. Trick Room is the entire point of running Dawn Wings Necrozma, otherwise you're wasting your time using this over any alternative. Protect becomes even more valuable here than on regular Necrozma because the added Ghost typing will make it a more vulnerable target to the likes of Yveltal and Incineroar. Maximum HP and Special Attack investment provide the strongest mix of power and bulk for a restricted Pokemon on a Trick Room team. The choice between Modest and Quiet depends on how urgently you want to outspeed foes under Trick Room. However, the amount of foes in the speed tiers between 77 and the faster legendaries isn't overly relevant until Ultra series when slow Groudon is more common and Dawn Wings Necrozma has an even tougher time justifying usage anyway. Electric Seed is the item of choices here since you will generally use this alongside Tapu Koko for its ability to threaten Yveltal. However, that is a very team specific item so Colbur Berry stands as a more general alternative to buffer against one Dark-type attack. When Z-Moves become an option in Moon series, Lunalium Z will become a more powerful alternative that provides a nuke that also prevents Knock Off from destroying it. .
- Choice Specs is an option on Dawn Wings Necrozma in the same vein as Lunala, though the slight increase in power is generally not worth the drop in Speed compared to Lunala. - Weakness Policy can function as an attempt to make use of Prism Armor and its many weaknesses, though it can be inconsistent when compared to a basic Z-Move nuke. - As previously mentioned, Tapu Koko is a must with Electric Seed and will generally be a good partner to threaten Yveltal. Any teammate that can likewise threaten Incineroar such as Groudon or Kyogre is worth consideration as well, which also notably benefit from Trick Room support as well. Marshadow and Yveltal will easily destroy DW Necrozma. Life Orb Technician-boosted Shadow Sneak is even strong enough to OHKO max HP Dawn Wings Necrozma after Stealth Rock damage. Any Dark type move from Yveltal will simply obliterate DW Necrozma. Other Ghost and Dark types such as Giratina, Lunaala, Mega Gengar and Arceus will shred DW Necrozma apart thanks to their higher Speed and strong STAB moves dealing x4 damage to it. Necrozma, The Prism Pokémon. This is its form while it is devouring the light of Solgaleo. It pounces on foes and then slashes them with the claws on its four limbs and back. This is Necrozma’s form while it’s absorbing the power of Solgaleo, making it extremely ferocious and impossible to control. One of the best Steel types in the game, DM Necrozma (Dusk Mane) has the tools required to be successful in Legendary Pokemon formats. Its typing, ability, movepool and great stats makes DM Necrozma one of the most consistent Xerneas checks in Singles while having access to a strong nuke in Searing Sunraze Smash that obliterates anything that does not resist it. Prior Ultra Bursting, DM Necrozma's typing allows it to play mind games with the opponent as its Steel weaknesses are removed when it transforms into Ultra Necrozma. 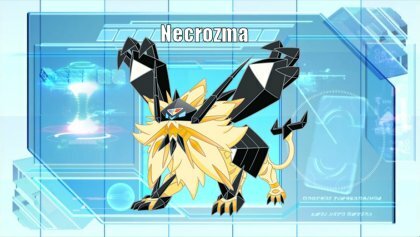 DM Necrozma is kind of let down by its offensive STAB combination as many Pokemon such as Primal Groudon, Aegislash, Mega Metagross and Dialga resist it, which forces DM Necrozma to rely on its coverage moves, sometimes having trouble to fit everything on one moveset. Also, Necrozma DM can be easily defeated by Pokemon such as Yveltal, Ho-oh and Marshadow who are common sights in formats involving legends. Its subpar Speed, despite being patched by Rock Polish and Autotomize, makes it also very prone to be revenge killed. However, don't be fooled by these small shortcomings as DM Necrozma is easily one of the best Pokemon to use in these formats. A great natural 97 / 127 / 109 bulk alongside a solid Steel / Psychic typing makes Dusk Mane Necrozma provides invaluable defensive utility to all its teams while being the most consistent Xerneas check in the whole game. Prism Armor combines very well with its great defensive typing as it reduces the damage from super-effective coverage moves from the likes of Rayquaza and Mewtwo. Dusk Mane Necrozma's great utility and offensive movepool adds a lot of versatility on its sets making it quite a fearsome and unpredictable Pokemon, in addition, to the possibility of Ultra Bursting. Its Steel typing complements Ultra Burst very well as once transformed into Ultra Necrozma, it is no longer weak to Fire and Ground attacks. This brings the possibility of playing mind games with your opponent. Dusk Mane Necrozma's offensive stats (157 / 113) are pretty good for an offensive Pokemon. While Dusk Mane Necrozma's movepool and stats are good enough, its dual offensive STABs have very poor coverage in the metagame. Base 77 Speed is a really poor stat when unboosted, although Dusk Mane Necrozma can overcome this shortcoming with Rock Polish / Autotomize or even by Ultra Bursting. Rock Polish allows Dusk Mane Necrozma to outspeed threats like Choice Scarf Xerneas, Mega Gengar, Mega Mewtwo Y and others after a boost, while Swords Dance increases DM Necrozma's Attack stat to jaw-dropping levels. Sunsteel Strike is the main STAB chosen for its ability to ignore abilities like Multiscale or Sturdy while being capable of destroying Xerneas. If using a Solganium Z, it becomes a Searing Sunraze Smash that is even capable of busting through anything that resist the move, if boosted. Stone Edge on the other hand, allows DM Necrozma to destroy Ho-oh and Yveltal at the cost of forfeiting either the use of a STAB move against neutral targets or having the ability to boost by itself. Earthquake is non-negotiable on the last slot for its ability to dent Primal Groudon and other Steel types such as Magearna or opposing DM Necrozma. 248 HP EVs and 8 SpD prevents Dusk Mane Necrozma from ever being OHKOed by any attack from a +2 Xerneas while the rest is invested on Attack to maximize its damage output. Thanks to Prism Armor and its great defensive typing, DM Necrozma can use efficiently a Weakness Policy to gain an immediate boost, when hit by a super-effective attack, to hit the opponent extremely hard. However, Solganium Z allows DM Necrozma to fire a one time nuke alongside Sunsteel Strike that allows it to get past most of its checks and counters. An Adamant nature is required to make the most out of DM Necrozma's great Attack stat. Taking into account its meddling Speed, it's not worth to consider Jolly unless you are using Ultra Necrozma. Thanks to its Steel typing and a good recovery move in Morning Sun, DM Necrozma is able to easily check almost any Xerneas set without drawbacks. Stealth Rock is an extremely important move in 6v6 and DM Necrozma is a great user of the move thanks to its great bulk. Toxic allows DM Necrozma to punish common Defoggers such as Yveltal, Giratina-O and Arceus preventing them from repeatedly getting rid of its hazards, while being able to heavily cripple Primal Groudon, one of the greatest threats for DM Necrozma. Sunsteel Strike is the only STAB DM Necrozma needs on this set in order to beat out Xerneas. Finally, Morning Sun increases Necrozma-DM's longevity, letting it consistently set Stealth Rock and switch into foes it is tasked to check. It should be noted that Morning Sun gains an increased recovery on extreme sunlight and it allows it to stall support Primal Groudon sets thanks to the 75% HP recovery. Max HP and SpD with a Careful nature are needed in order to allow DM Necrozma comfortably check Xerneas and the majority of the specially based Arceus formes. Leftovers provides additional chip recovery that allows DM Necrozma to switch into more attacks. Thanks to its great defensive typing and sheer bulk, which is further bolstered with Prism Armor, DM Necrozma finds itself as one of the best Trick Room users. With investment, DM Necrozma is bulky enough to even tank Yveltal's Dark Pulse or Primal Groudon's Precipice Blades and set up Trick Room reliably. Once under Trick Room, Swords Dance makes DM Necrozma even more threatening and allows it to break past its checks and counters. Sunsteel Strike is the mandatory STAB move and thanks to its added effect of ignoring abilities such as Sturdy and Multiscale, it serves as the main wall-breaking move, specially when boosted by Swords Dance and Solganium Z. Earthquake is the only coverage move Necrozma DM needs to plow past Primal Groudon and opposing Steel types. On a Trick Room set, max HP and max Attack are required in order to make DM Necrozma as bulky as possible while maximizing its damage output. This allows DM Necrozma to serve as an excellent check for Xerneas while being a consistent threat against offensive teams. An Adamant nature is required to make the most out of DM Necrozma's excellent attack stat. Photon Geyser is a valid secondary STAB to use on DM Necrozma considering it packs quite a punch coming from its base 157 Attack stat. However, as a standalone form, DM Necrozma prefers its Steel STAB due to its ability to destroy Xerneas and it can't really afford to run the move due to Psychic's poor coverage. Photon Geyser is a move that only Ultra Necrozma can truly take advantage of. DM Necrozma can effectively use Swords Dance + Morning Sun to act like a reliable check to Xerneas while posing a threat to defensive teams. Now Dusk Mane Necrozma is what should come to mind when thinking about Necrozma in VGC, as it's the most viable of its formes. Steel/Psychic typing on a strong restricted Pokemon provides a lot of utility in a metagame that has Xerneas, and it also allows it to fill the role of a bulky bruiser that is expected from most restricted Pokemon. Unlike the other variants, Steel/Psychic has the right amount of defensive utility to make effective use of Weakness Policy to punish its somewhat common weaknesses. Access to Trick Room also helps out Dusk Mane Necrozma here to turn its awkwardly low Speed into a boon, and the simplicity of its set options make it a very popular choice. That being said, Steel/Psychic has plenty of downsides, being easily walled by Incineroar and opposing Steel-types while also suffering weaknesses to Dark-, Ghost-, and Ground-type moves. Dusk Mane Necrozma is still comfortably the best Necrozma forme in Doubles and you should always respect it, but as the season changes those weaknesses will bring it down a bit. As with the other formes, Dusk Mane Necrozma works best as an offensive Trick Room setter, though it does it better than the others due to its superior typing. Photon Geyser is a staple here as it does huge damage to Kyogre on its weaker physical defense, and is otherwise a fairly strong Psychic STAB. Sunsteel Strike is primarily valuable for shutting out Xerneas without depending on any weird gimmicks, though it's also effective actually threatening Lunala after breaking Multiscale. Trick Room allows Dusk Mane Necrozma to turn the Speed order in its favor, which is incredibly valuable on a Steel-type that can threaten Xerneas in order punish Protect and avoid letting it get into a better spot positioning-wise. Likewise Protect is as valuable of a positioning move on Dusk Mane Necrozma as it is on anything else, especially as a strong Xerneas check. Maximum HP and Attack investment provide the simplest combination of bulk and power, as Dusk Mane Necrozma will generally not care enough about its Speed regardless of Trick Room. The difference between Adamant and Brave nature depends on how important the Trick Room mirrors are, though this is mostly relevant against Groudon and Kyogre which may or may not be slower than the Adamant variants. Weakness Policy is the most effective item choice at the moment due to the many resistances and relevant weaknesses it has, making it more consistent than most Weakness Policy users. Psychic Seed can be used on teams with Tapu Lele to bolster Dusk Mane Necrozma's special bulk, and Solgalium Z will become a very strong nuke alternative to Weakness Policy during Moon season. - Figy Berry can be used for some extra longevity and can free up an item slot elsewhere, though Dusk Mane Necrozma usually wants more offensive options to make up for its weaker STAB combination. - Tapu Lele is a natural choice if you wish to use Psychic Seed, which has the added bonus of giving Dusk Mane Necrozma some extra bite to its Photon Geyser. Tapu Lele also threatens Yveltal though it does stack a weakness to the likes of Lunala and eventually Mega Gengar. - Aside from the obvious Incineroar option, teammates that help facilitate Trick Room setting or otherwise benefit from it are ideal teammates. Kyogre and Groudon are good options that benefit from Trick Room, while Amoonguss can help facilitate setting it up. - Dusk Mane Necrozma really wants teammates that can threaten Yveltal and Lunala, so something like Tapu Koko, Xerneas, or Yveltal itself makes for great teammates. Yveltal is possibly the best check for most Dusk Mane Necrozma sets. While Yveltal can't switch directly into Searing Sunraze Smash or a boosted Stone Edge, if given a free switch-in, it can easily punish DM Necrozma with super effective Dark type moves. It can even use Sucker Punch to revenge kill Rock Polish sets. Ho-oh is another consistent check due to its resistance to Sunsteel Strike and immunity to Earthquake, however, it must be careful of Stone Edge. While Zygarde-Complete form can't take a boosted Searing Sunraze Smash from Dusk Mane Necrozma, it can prevent it from setting up in front of it by using Glare which severely hinders it from the rest of the match. While Primal Groudon can be overwhelmed by offensive variants of DM Necrozma in a 1v1, Primal Groudon is strong enough to survive a +2 Earthquake and KO back with Precipice Blades. Mega Gengar can revenge kill and trap DM Necrozma by burning it first to reduce the damage and chip it down with Shadow Ball, although it can't directly switch into it. Celesteela and Skarmory are troublesome for DM Necrozma since both resist its common coverage moves. Necrozma, The Prism Pokémon. This is its form when it has absorbed overwhelming light energy. It fires laser beams from all over its body. The light pouring out from all over its body affects living things and nature, impacting them in various ways. 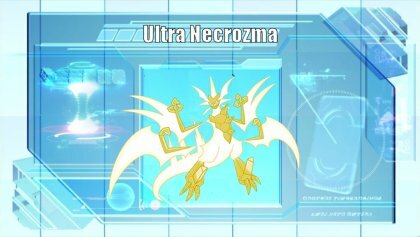 Ultra Necrozma is one of the most powerful wallbreakers in formats that involve Legendary Pokemon. Base 167 offenses are very high and with excellent coverage moves from both sides of the spectrum, which are bolstered by Neuroforce, Ultra Necrozma can easily shred teams by itself given the right support. Its excellent speed tier also allows it to outspeed common threats such as Mega Salamence, Shaymin-Sky and Marshadow. Having access to one of the most powerful Z-moves in the game, with Light That Burns the Sky, this allows Ultra Necrozma to blow past defensive checks that are not immune to the move. Dusk Mane Necrozma is the preferred base form prior Ultra Bursting as it allows it to strategically swap its typing at the right moment as it removes its base form's weakness to Ground and Fire. However, Ultra Necrozma also has it flaws as its base 97/97/97 defenses are average compared to the rest of the Legendary Pokemon, which grants it very few opportunities to switch once transformed. Ultra Necrozma is also much more prone to be revenge killed by Pokemon like Scarf Yveltal, Mega Gengar or Marshadow's Shadow Sneak. Because it is forced to hold the Ultranecrozium Z Crystal, it can't hold any other items which limits some of its sets. Nevertheless, Ultra Necrozma is a formidable threat to face as you never know when it will show up until it transforms. Its 167 offenses makes it an incredibly threatening Pokemon from both sides of the spectrum, taking into account its great movepool and access to boosting moves such as Swords Dance and Calm Mind. While Neuroforce is not an overwhelmingly powerful ability, it increases the damage output of super-effective moves which complements its coverage options even better. Base 129 Speed, despite falling short to Mega Gengar, is an incredible speed stat allowing it to outspeed relevant threats like Mega Salamence and Marshadow. For a pre-base form, Dusk Mane Necrozma is the best option taking into account its great bulk and Steel typing, which allows it to play mind games with the opponent and feign a stand-alone DM Necrozma set. Base 97 / 97 / 97 defense are poor in formats where Pokemon such as Primal Groudon exist, limiting its switch-in opportunities even on resisted hits once transformed. Unfortunately, by being forced to only use an Ultranecrozium Z, its sets are mainly limited to offensive sets that rely on the Z-Crystal move once transformed. Photon Geyser is the main STAB Ultra Necrozma will be using while still serving as a middle ground for DM Necrozma to use vs Primal Kyogre. Photon Geyser also allows Ultra Necrozma to fire its powerful Light that Burns the Sky to overwhelm its checks and counters, especially when boosted. Earthquake allows Ultra Necrozma to get rid of Primal Groudon and opposing Steel types that may wall it. For the 3rd slot, it depends on what you want to achieve with Ultra Necrozma: Sunsteel Strike allows Ultra Necrozma to get past Xerneas while offering itself as a consistent STAB to be used on its pre-base form. This pretty much allows you to feign a DM Necrozma set and catch your opponent off-guard once you Ultra Burst. Stone Edge allows Ultra Necrozma to murder Ho-oh and Yveltal attempting to switch into it. Outrage is a secondary STAB Ultra Necrozma can use to get past Mega Sableye without fearing a burn. Finally, Swords Dance allows Ultra Necrozma to increase its already fantastic Attack to off the charts. 32 HP EVs guarantee that Ultra Necrozma will always survive Marshadow's Life Orb boosted Shadow Sneak after switching into Stealth Rock (Assuming you initially switched as DM Necrozma) and always survive whatever a +2 Xerneas throws as DM Necrozma prior Ultra Bursting. 224 Speed EVs allows Ultra Necrozma to outspeed max +Spe Marshadow and Darkrai while Attack is maximized to hit as hard as possible. Ultra Necrozma's high Special Attack also allows it to effectively use a Calm Mind set in order to lure most of the physical set's checks such as Primal Groudon and surprise them. Calm Mind allows Ultra Necrozma to increase its Special Attack despite not being as overwhelming as a Swords Dance boost can provide immediately. However, this makes Ultra Necrozma being less prone to be revenge killed by Mega Gengar thanks to the Special Defense boost. Photon Geyser is still a ridiculously strong STAB, capable of nailing Primal Groudon much harder than the physical sets. Heat Wave complements its coverage by destroying Ferrothorn, Mega Scizor and Aegislash in the process. Earth Power deserves its mention for hitting Dialga super-effectively if you're concerned with it, while still nailing Magearna and Aegislash. Dragon Pulse is a secondary STAB that allows Ultra Necrozma to destroy Giratina and Zygarde-C without resorting to its Z-move. Power Gem is an option to obliterate Ho-oh and Yveltal. 52 HP EVs are needed in order to allow Ultra Necrozma to always survive Marshadow's Life Orb boosted Shadow Sneak after a layer of Spikes while still being able to survive any attack from a +2 Xerneas as DM Necrozma. 224 Spe EVs are required to outspeed Darkrai and Marshadow while the rest is invested on Special Attack to make Ultra Necrozma as powerful as possible. Ultra Necrozma can use Flash Cannon on the special set to have a useful STAB to use as DM Necrozma while being able to hit Xerneas super-effectively. However, it serves of little purpose considering Xerneas has higher Special Defense and can boost it with Geomancy. Substitute is an option to prevent Ultra Necrozma from being able to be easily revenge killed by Marshadow and Yveltal. However, it can barely find a slot to fit the move as it loses out on crucial coverage. Stealth Rock is a valid option due to the switches it can force in as DM Necrozma prior Ultra Bursting, but once again, the loss in coverage is generally not worth the slot. DW Necrozma can be used as a pre-base form in case Moongeist Beam is required. However, DW Necrozma offers very little switch-in opportunities unlike DM Necrozma. 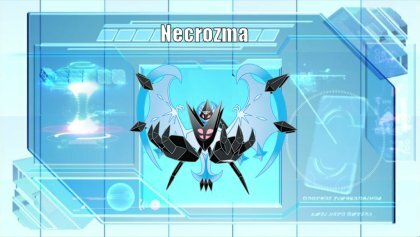 Ultra Necrozma is a Pokemon that you would think is amazing in Doubles at a glance, and one that should see a lot of use during Ultra series later this VGC season. However, it's far less impressive than it might appear, and ultimately doesn't do much that other Pokemon like Mega Rayquaza, Dusk Mane Necrozma or even Mewtwo don't do better. To its credit, the added mindgame of starting as a Psychic/Steel type is a point in favor of Ultra Necrozma. Likewise the base 129 Speed tier allows it to outspeed a large range of threats including Mega Salamence and Mega Rayquaza, letting it pressure a number of offensive foes. However, most of its good traits are matched by equally bad traits. Ultra Necrozma is effectively locked into a single item due to requiring its unique Z-Move, which while powerful, cannot even be used until a turn after Ultra Bursting which is a frustrating flaw. Neuroforce is also not an overly helpful ability, because Ultra Necrozma has little room for coverage and it doesn't need much help getting KOs with its STAB moves, neither of which provide excellent super-effective coverage. Its Speed tier is also slower than Tapu Koko and more importantly, Mega Gengar, so while it is fast this isn't quite fast enough. On paper Ultra Necrozma looks like a deadly threat, and while it does have potential to be a dangerous foe, there's generally a more optimal choice. Ultra Necrozma has a difficult time fitting in everything it needs into a moveset, especially for Doubles, but a straightforward offensive set is what it does best. Photon Geyser provides a powerful STAB move, and ultimately will be the only STAB move Ultra Necrozma runs most of the time. Sunsteel Strike is a useful STAB move before Ultra Bursting and is still useful for dealing with Xerneas if it comes in after it Ultra Bursts thanks to Neuroforce. Swords Dance becomes a decently reliable setup move due to the useful defensive typing before Ultra Bursting, though it gives up a coverage slot and becomes difficult to use safely afterwards. Alternatively Earth Power can provide useful coverage against Primal Groudon while also letting Ultra Necrozma actually threaten Steel-types. Dragon Pulse is not a very useful coverage move in general but it does allow Ultra Necrozma to effectively check Mega Rayquaza and Mega Salamence. Protect is Protect, you've probably heard the reasons for this enough times by now. Maximum Attack and Speed investment is straightforward, Ultra Necrozma doesn't have much use for its bulk so it wants to be as strong and fast as possible. Jolly nature is preferred with a fully physical set, though Naive should be used if Earth Power or Dragon Pulse is being used. There's no alternative item to Ultranecrozium Z as it is required to Ultra Burst, and while that does limit flexibility it still provides the very powerful Light That Burns the Sky option as a Z-Move. The given set focuses on a physical oriented set due to Dusk Mane providing superior options, though running Dawn Wings Necrozma with a Timid nature can be considered for a fully special set. - If a special set is being used then Moongeist Beam is a natural choice that provides some valuable super-effective coverage against Dusk Mane Necrozma and Lunala. - Tapu Lele is an ideal teammate to provide valuable Psychic Terrain support to protect Ultra Necrozma from priority while buffing up the power of Photon Geyser. Add a Choice Scarf to Tapu Lele so that it can check Mega Gengar as well. - Any Steel-type that can help check Xerneas after Ultra Bursting Necrozma is valuable, so that you don't feel forced to avoid Ultra Bursting with your only Xerneas check. Celesteela and Bronzong are effective picks for this role. Yveltal is able to check and revenge kill Ultra Necrozma thanks to Sucker Punch. Scarf sets are also able to revenge kill it, however, it must be wary of Stone Edge as it will deal a huge amount of damage. Marshadow is one of the best checks for Ultra Necrozma as it only requires some chip damge for Shadow Sneak to OHKO. Thanks to its 130 base Speed, Mega Gengar can trap and revenge kill Ultra Necrozma very easily once it gets a clean switch. However, Ultra Necrozma can avoid being OHKOed if it uses Calm Mind. Pheromosa easily scares it out thanks to its higher Speed and STAB Bug moves. Aegislash can somewhat take on Ultra Necrozma with the combination of Gyro Ball and Shadow Sneak but it is fated to lose if Necrozma does not Ultra Burst. Necrozma has made a few appearances in the anime. In them, it came through the Ultra Wormhole and plunged Alola into darkness. Ash & co. had to battle it to stop it, especially after it took control of Solgaleo and Lunala.